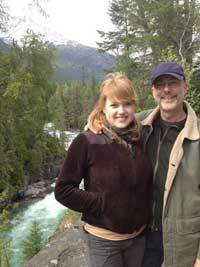 Chuck Duff founded Thai Bodywork School of Thai Massage in Evanston, IL in 2001. He is considered to be one of the foremost bodywork teachers and practitioners in the United States. Chuck's work with severe cases of pain and frustration with the complete absence of anatomy knowledge in traditional training led him to develop Clinical Thai Bodywork, which integrates traditional Thai techniques with trigger point therapy. Clinical Thai Bodywork/CTB has evolved into a comprehensive approach for restoring pain-free movement, Coaching the Body. Chuck taught the first CTB course in 2005, and later continued to develop the modality into a full certification program. There have been many influences in Chuck's life that have merged in an interesting way in his approach to bodywork. He became interested in yoga, eastern philosophy and Buddhism as a teenager. He received his BA from the University of Chicago, where he spent a year in physics but then was the first student to enroll in a newly instituted multi-disciplinary program entitled Religion and the Humanities. His studies focused on the relationships between western psychology and Buddhist and yogic models of consciousness. During and after college, Chuck studied Kundalini yoga with Yogi Bhajan, spent some time living in an ashram and attended Naropa Institute in Boulder, Colorado, which had just been founded by Chogyam Trungpa, Rinpoche to further the study of Tibetan Buddhism and its relevance to the west. Naropa was an exciting "silk road" environment that had become a mecca for such luminaries as Alan Ginsberg, Gregory Bateson, Chogyam Trungpa, Anne Waldman, Gregory Corso, and many other musicians, artists, philosophers and creative explorers. As an artist and musician himself, and excited by the prospects of emerging technology and empowering personal creativity, Chuck attended graduate school at the University of Illinois to study programming and computer graphics with professor Thomas DeFanti, in whose lab the trench scene from the first "Star Wars" film was developed. He became aware of the visionary Smalltalk language that had emerged from Xerox PARC, and began developing object-oriented programming languages modeled after Smalltalk. He created the first interactive programming environments for the Macintosh and Windows 1.0, working closely with platform teams at Apple and Microsoft and became a respected object-oriented researcher, author and speaker. Chuck founded 4 software companies, one of which raised venture funding and was acquired by Symantec Corp.
Chuck's early object-oriented programming work was described in an article by Michael Swaine from 1995 in Dr. Dobb's Journal (a now-defunct journal chronicling the wild west days of the early microprocessor revolution which transformed society - he was a member of the advisory board) entitled Cheapo Bizarre Languages. Object-oriented programming, which seeks to model real world objects and processes with modular pieces of software, first brought Chuck into contact with Christopher Alexander's concept of pattern language. This later became important in his development of modular sequences in CTB with Jennifer Wright, who proposed the relevance of the idea from her studies in architecture. Chuck studied Hapkido, a Korean monastic martial art, for 12 years and earned his black belt under Master Kwang Seek Hyun. 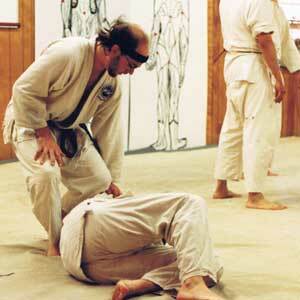 Chuck's study of Hapkido later proved very important in his bodywork practice and teaching. After a decade as an entrepreneur and technology innovator, he made a decision to return to his humanistic and spiritual roots. When he discovered Thai massage in the late 1990s, he realized that he had found an art which brought him full circle to his earlier studies of Buddhist philosophy, healing and circular patterns of movement emerging from the energy at the core or dan tian that were closely related to those of Hapkido. Chuck discovered trigger point therapy in 2002 when he first found Claire Davies' newly published Trigger Point Therapy Workbook, studied with Claire and dove into the Travell & Simons' landmark medical textbooks on the subject. In trigger point therapy, Chuck found an important missing link that lead to the development of Clinical Thai Bodywork. His clinical research has benefited in surprising ways from his background as a computer scientist, and he continues to explore this relationship in the form of software tools for bodyworkers. Thai Bodywork's training programs grew rapidly after 2001, and Chuck built the school into national visibility with Betsy Trapasso. Her background was social work, hospice and palliative care. Betsy trained in Thai massage and came to Chicago to help build the school and teach from 2004-2009. She currently lives and practices in Los Angeles, CA and is a well known advocate for end of life issues.